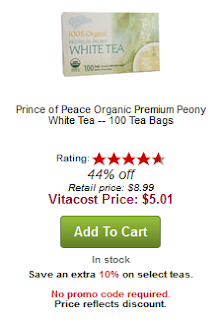 Beth Ann & Jessica's Helpful Savings: Vitacost: Extra 10% off Select Teas and $10 Coupon! Vitacost: Extra 10% off Select Teas and $10 Coupon! 1. Sign up for Vitacost and get a $10 coupon! 2. Go through Shop at Home to earn 9% cash back on your Vitacost purchase. 3. Then, start shopping! 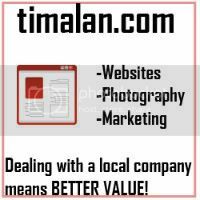 The $10 coupon can be used on purchases of $10 or more. If you spend $49, shipping is free. Otherwise, shipping is $4.99. 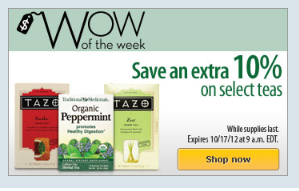 Select teas are 10% off through 10/17/12 at 9 am EDT. Here's an example of how to use your $10 coupon. Buy two Prince of Peace Organic Premium Peony White Tea -- 100 Tea Bags (item #POP 8182002) for $5.01 a piece (44% off) and pay just 2 cents plus $4.99 shipping, so total of $5.01! That's like buy 1 get 1 free. Remember, you can use the $10 coupon for anything on the site over $10.